When it comes to filling up your calendar with quality content you need to be organised, it's pretty key to success as a blogger. There are times when we all feel as if we are in a slump and coming up with blog post ideas for lifestyle bloggers isn't always so easy! Being a girl who loves to plan and becoming a queen when it comes to list making, I know what exactly what I am writing about each week right up until June. And when June comes along I will try and fill up my calendar for the next few month, and so on, and so on. Why do I do this? Because I used to hate sitting down at my laptop and wasting time thinking about what to write. Life is so busy as it is, anything that can save some time is such a life saver! And I must admit, as a family lifestyle and beauty blogger there is always so much to write about. But in order to succeed as a blogger you need to be organised, not only for your own sanity but it's also a great way to stay focused. As I said being organised isn't so easy, and we've all been there. I don't think I can say this enough, it's so important to support one another. 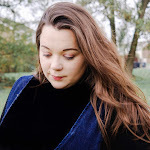 There's nothing quite like sharing some positive vibes in the blogging community so I wanted to share a few ideas in the hope to inspire you to write some good quality content. Sometimes life just gets in the way and this is okay. If you have a lot going on the last thing you want to do is force out a post, that's probably too rushed and crap, your readers will see that you're clutching at straws and you could loose regular readers. Ease the pressure and brainstorms a few ideas on a piece of paper and work from there, don't just sit at your computer hoping inspiration will come your way. It just may not work in your favour. I have found that when you're in the throes of writing good content, take five minutes each day to write down a few ideas for blog post, you could even host a poll on twitter asking your followers what content they would like you to share. When it comes time for me to sit down and fill in my calendar, I always like to start with a good brainstorming session and making lots of different lists under each of my blog categories. And since I’m always writing blog post ideas down as they come to me, I compile all the post titles together, and organize them to figure out which ones should go where in my calendar, which normally gives me more blog titles as I go. 1. Write about why you started your blog. 2. 8 lifestyle bloggers that you can't live without. 3. 5 picks for your [Spring, Summer, Autumn, Winter] wardrobe. 4. A peek into your daily routine. 5. Ten of your favourite series on Netflix. 8. Friday favourites - a selection of your picks you've enjoying throughout the week. 10. Your favorite Instagram accounts for [interior, fashion, travel, beauty, etc.] inspiration. 11. Five favourite cocktail recipes. 12. Write a letter to your younger self (as a child or teen) with life lessons. 16. What's in my bag? 18. Share ways in which you keep organised. 19. A list of your favourite twitter followers. 20. 5 things you love to do for fun. 21. How do you plan an indulgent night. 22. List 10 things people don’t know about you. 25. List of things that have made you happy this month. 26. Share your guilty pleasures. 28. How to host the perfect girls night in. 30. Top 10 books to read and why you should read them. 31. The best blogs to follow for style [or travel, or beauty, or food, etc.] inspiration. 32. Your favourite time saving hack. 33. 5 ways to get motivated. 35. Your best blogging tip for new bloggers. 36. The best budget friendly makeup buys. 37. A round-up of your best blog posts. 38. Your favorite social media platform and why. 39. Six moments in your life that make you smile. 41. Share you best photography props. 42. Best buys for home decor. 43. How to start a bullet journal. 44. Ways to find inspiration. 45. 10 must have travel essentials you NEED. 47. How to decorate a small space. 48. Your favourite DIY beauty treatments. 49. Favorite subscriptions boxes that you couldn't live without. 50. Share your best phone photography tips. 51. Create a city guide [yours or somewhere you have visited]. 52. How to throw a dinner party for friends. 53. Ten ways to style a [skirts, jeans, leather, a white shirt, etc]. 54. A roundup of your favorite beauty You-tubers. 55. A style inspirational board. 56. Share your favourite accessories. 57. Top tips for shopping on a budget. 58. What are your favourite things to do outdoors? 60. How do you stay creative? 61. Share your top 5 apps you couldn't live without as a blogger? 62. What's the best piece of advice given to you by someone else. 63. Talk about something in your life that you found hard. 64. Why do you love blogging? 65. Create the ultimate resource list [bloggers, courses, apps, photography, inspiration]. 66. Share 10 of your favourite blog posts and why? 68. Life lately [shares photos from Instagram over the last few weeks]. 69. Share 6 simple date ideas. 70. What are your favourite blogging tools you couldn't live without. 71. Share an embarrassing childhood story. 72. Your week in pictures. 73. Adding personal touches to your home. 74. How to hygge at home. 75. Share your favourite staple baking recipes. 76. The happiest moment of your life. 79. Most challenging part of your life, why and what have you learned from it. 80. Top tips when it comes to de-cluttering your home. 81. Behind the blogging scene, give your readers a glimpse into your process. 81. Best photography blogs that inspire you. 83. Share ways you like to wind down in the evenings. 84. Top picks for your office. 85. Share a recent shopping haul. 86. What things couldn't you live without. 87. The meaning behind your blog name. 88. 15 destinations you'd like to visit. 89. 8 ways you can add glamour to your bedroom. 90. 10 easy spring colour palettes for your decor. 91. Talk about your first time abroad. 93. Your five product face. 94. Share your best handbag products for a night out. 95. How do you stay productive? 96. Best ways to keep your [makeup/desk/house] organised? 97. What are your worst habits? 98. A list of your favourite clothes shops and why? 99. What are you favourite books and why? 100. Share your photography equipment [props, cameras, editing apps and backdrops]. 101. Five ways to disguise a bad hair day. Wow, we got there in the end. And that's a whole lot of blog post and I hope that somewhere in that mega list you have found something to inspire you to write? Have you been struggling to find inspiration for what to write about? I’d love to hear your tips! If you loved this post make sure to share it on Pinterest! 11 comments on "101 Lifestyle Blog Post Ideas That You Need To Write"
Wow such great ideas!! I am definitely going to use a few of those! I'm ALWAYS hitting a writers block! Thank you for a brilliant post! I love the photo! And I love the post ideas too!